So the Pope is coming to Ireland in 2018, it seems. Pope Francis has been lauded in some quarters for making strong speeches in opposition to obscene global wealth inequality. 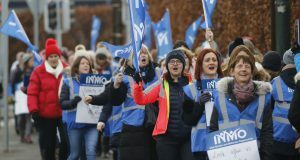 This state is rife with a homelessness crisis, is still reeling from the aftermath of the biggest bank bailout per head of population in the world, and has shameful levels of child poverty. Perhaps he is coming to speak out on these issues, we hear you ask? Eh, no. As one might expect of the Catholic Church hierarchy, it stems from a continued fixation with stigmatising and repressing women’s sexuality. 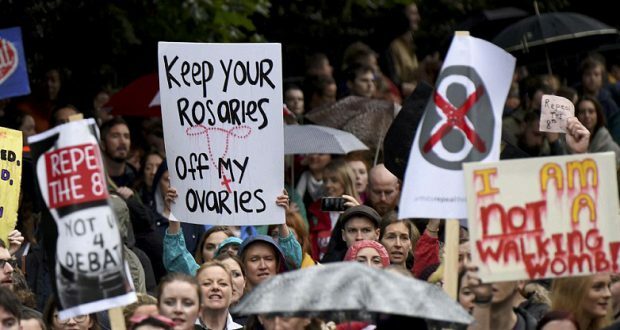 From the moment the visit was announced, it was transparent beyond belief that Pope Francis’s plans to visit Ireland are designed to attempt to thwart a victory for the youthful, growing and inspiring movement for abortion rights. Archbishop Martin, the head of the Catholic Church in Ireland, confirmed as much when he announced that the Pope would campaign against abortion while in Ireland. The legacy of the church-state nexus in Ireland is a bitterly cruel one; the slavery of poor women in the Magdalene Laundries, the butchering of women’s bodies who were subjected to symphysiotomy in maternity hospitals, and the unforgivable widespread physical, sexual and emotional abuse of children, especially poor and working-class children in Church-run state institutions. In many ways, what was widespread only a generation or a few ago, (the last Magdalene Laundry closed in 1996), seems like a different world. And yet, the Catholic Church is still represented on the board of the majority of public schools and hospitals. Most prized, is the enduring 8th amendment constitutional abortion ban, brought in by the campaigning of a range of Catholic groups 34 years ago – aided and abetted by a weedy political establishment, only too happy to bend to the wish of this powerful institution. The comments of Pope Francis on global wealth inequality are interesting, but fundamentally do not represent a shift in the nature of the deeply conservative Catholic Church, but rather reflect quite a concerted attempt to ‘re-brand’ a damaged institution by tapping into positive sentiments among the global masses who are incensed by the obscene reality of capitalism today – where the richest 1% own more wealth than the other 99% of the world’s population. The Catholic Church campaigned to say ‘No’ to Marriage Equality and to affirm LGBT lives. It will fight even harder to prevent progress on the question of abortion. The announcement of a visit from the Pope shows the stakes. The repeal movement hits at a seminal question for all who seek to live in a progressive, secular and equal society. 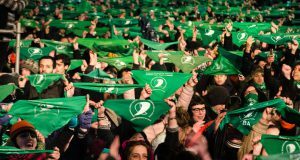 It’s very positive that the Coalition to Repeal the 8th Amendment plans to organise a march on International Women’s Day, 8 March 2017. It’s crucial that the abortion rights movement seeks to fully activate the tens of thousands of young people, of women, of LGBT people, of workers, who are passionate about repeal and abortion rights. The stronger a movement we build, the more we can resist any attempt by the Catholic Church hierarchy to prevent progress on this issue. Organising together for a major action on International Women’s Day can be a step in that direction. 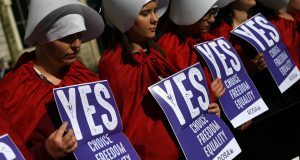 Furthermore, everyone who is passionate about a woman’s right to choose should actively join in the quest to build a major left and socialist political challenge and force – it’s only a Left government that will pursue a fundamental rift with the Catholic Church, separating church and state fully: recognising the right to religious belief as an important personal right and matter, while fully removing the Church influence on state hospitals, schools and law.